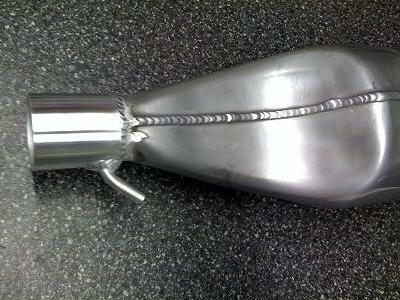 XScream exhaust T for running front and rear exhaust. 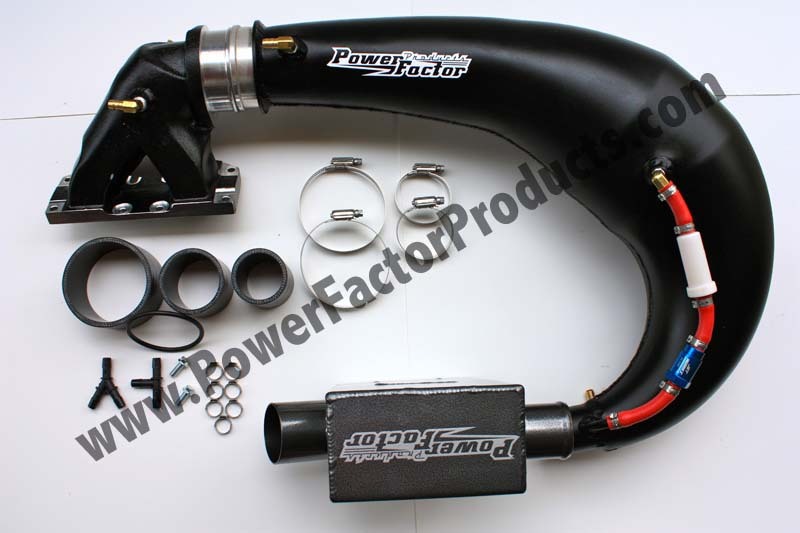 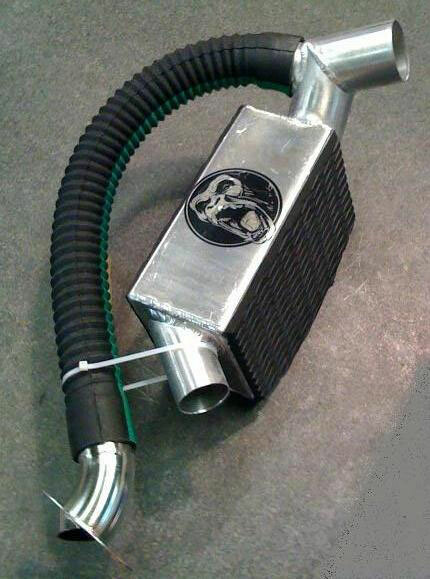 XScream Front Exhaust Kit w/ 'T'. 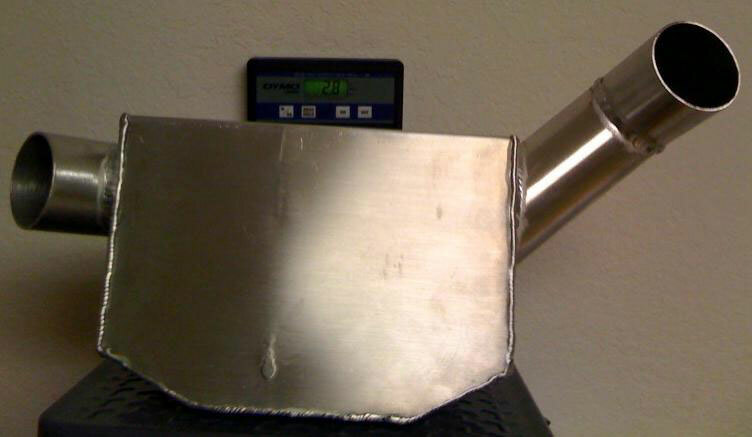 Get your ski setup with front exhaust. 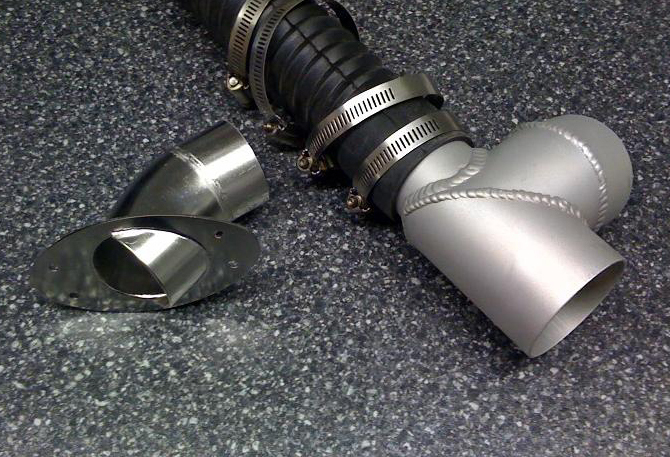 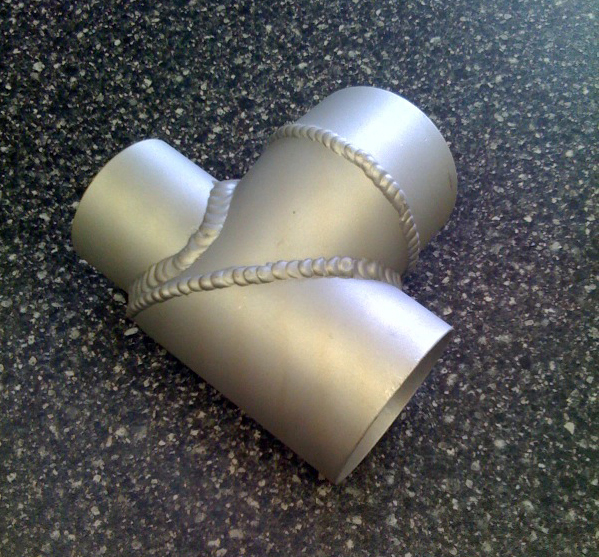 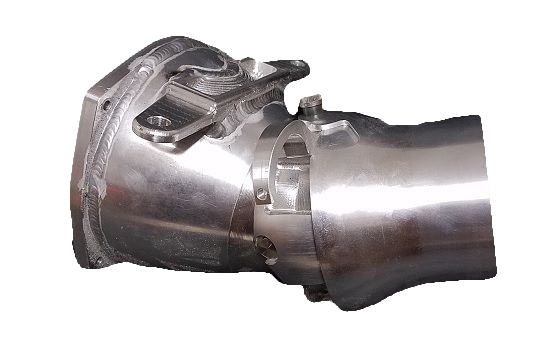 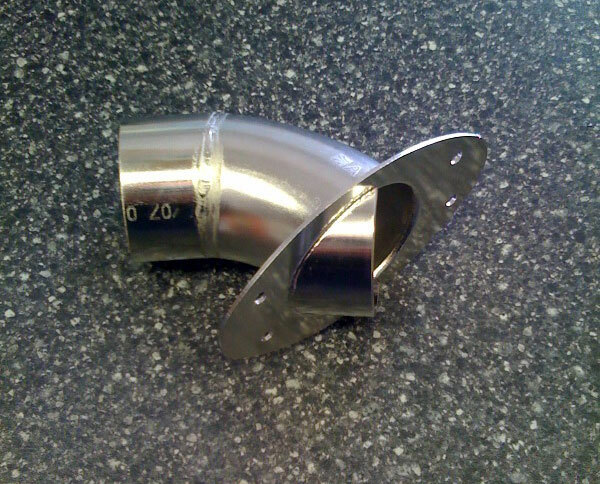 XScream's stainless steel front exhaust outlet.